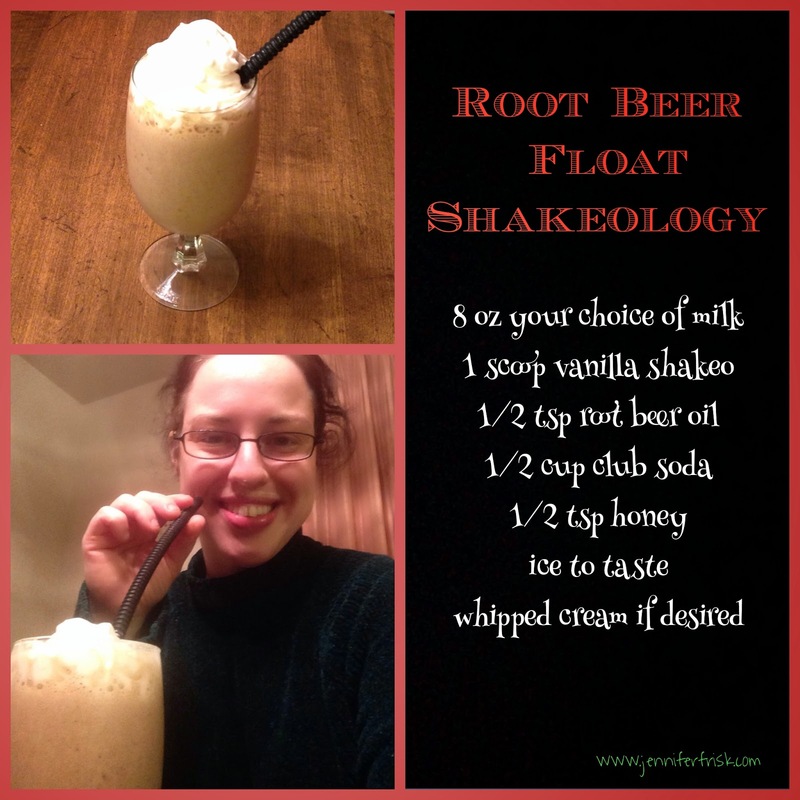 Joy in the Journey: Midweek Mealtime - Root Beer Float the HEALTHY Way! Midweek Mealtime - Root Beer Float the HEALTHY Way! So summer has officially hit western Pennsylvania, and I couldn't be happier! The sun has been shining at times, the clouds have been thundering at other times, and the temps have been in the 80s. Heaven for this girl! And what says summer better than a refreshing root beer float? Course, I don't really drink soda anymore, and ice cream isn't exactly Fix friendly, so what's a girl to do? Yes, I did use whipped cream. I couldn't resist. Now, I've had several people ask me where to get root beer oil... Did you know that most pharmacy counters will sell oil flavorings? They are concentrated and pure. I get a teensy little vial for $0.99 at my pharmacy. Check out the other oils offered as well - try the peppermint with chocolate shake for a treat!